Was born in Bloemfontein and was educated at Grey College, Bloemfontein, where he gained a first class matriculation certificate in 1929. In 1930 he commenced as a student of Architecture at the University of the Witwatersrand. He shared R MARTIENSSEN's enthusiasms and became an active member of the Transvaal Group, Martienssen and Bryer initiating the famous correspondence with Le Corbusier. As a student he was also a member of the Alpha Club. While a student he spent three months in the Johannesburg City Engineer's Department in 1932. In 1933 he spent six months in PR COOKE's office and in 1934 two months in Cape Town, part of a student group travelling with Professor PEARSE. He qualified with a Degree of Bachelor of Architecture in March 1935. In that year he spent six months in DM SINCLAIR's office, in the same year winning a Rhodes Scholarship, the first South African architectural student to do so. As a result he went to study at New College, Oxford from where he graduated with a B Litt in 1937, having studied slum clearance with special reference to 'poor white and native housing'. In the same or the following year he won a Commonwealth Scholarship to the United States where he spent some time at Columbia University. The RIBA Kalendar for 1939/40 listed his address in New York, an absentee salaried Associate of the RIBA. At the end of 1939 he returned to South Africa and commenced practice in partnership with DH RODD (cf MONTE BRYER & RODD ARCHITECTS) they were responsible for the design of the Johannesburg Civic Centre (c1969), won in competition, and for the Wartenweiler Library at the University of the Witwatersrand (1971). Bryer was a frequent contributor to the South African Architectural Record during his years at the University of the Witwatersrand and afterwards. 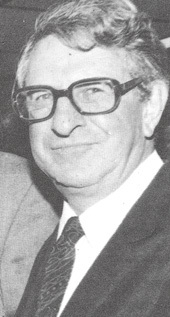 He was President of the Transvaal Provincial Institute of Architects from 1956 to 1957 and President-in-Chief of the Institute of South African Architects from 1961 to 1962. He emigrated to Canada after he had retired in about 1978 where he died. Hon D Arch 1978 UWits; President TPIA 1956; President-in-Chief ISAA, 1961-62; ARIBA 1936; B Arch, B Litt (Oxon) 1937; ISAA 1937. (ARIBA nom papers (1936) 6044; Herbert 1975; Bryer & Rodd 1984; SAAR Oct 1934:275; SAAR Jul 1956:24) Publ: Palazzo Sacchetti, Rome, SAAR Sep 1932:234-6; From America - excerpts from a report to the Commonwealth Fund Fellowship written after a tour of the USA, SAAR Jun 1939: 107-120; A critical review of the trends and problems of contemporary American architecture, SAAR Jul 1940:245-266; Housing or holocaust, SAAR Dec 1940:415-437 (address delivered to the Bloemfontein branch of the National Council of Women of South Africa).